“Difficult Hiking Trails” are characterized by steep elevations, increasingly difficult terrain and longer distances. Experienced hikers should only attempt these trails. Proper gear, footwear and hydration are of the utmost importance. For additional “Difficult Hiking Trails,” go to www.thehikehouse.com. 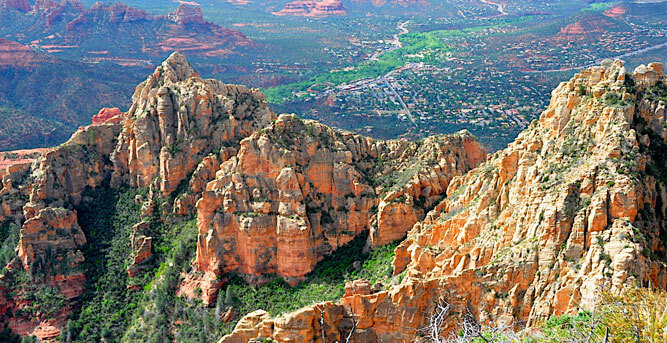 Summary: Welcome to The Big Hike!…Wilson takes you to the highest point in Sedona and provides the most dynamic panoramic views in the area. In order to get to this point you must put in the work. Wilson climbs over 2500 feet in just 4.5 miles (9 miles round-trip). This trail takes you through two distinctly different environments. The first part of the trail take you through a rough desert environment featuring low growth junipers, manzanita, prickly pear cactus and Parry Agave then past the “first bench” into a coniferous forest featuring a variety of large pines and oak trees. Don’t miss the views of San Francisco Peaks in Flagstaff as you make your way up the side of Wilson after the “first bench.” San Francisco Peaks hold considerable religious significance to numerous American Indian Tribes in the area. Summary: Majestic is the first word that comes to mind. 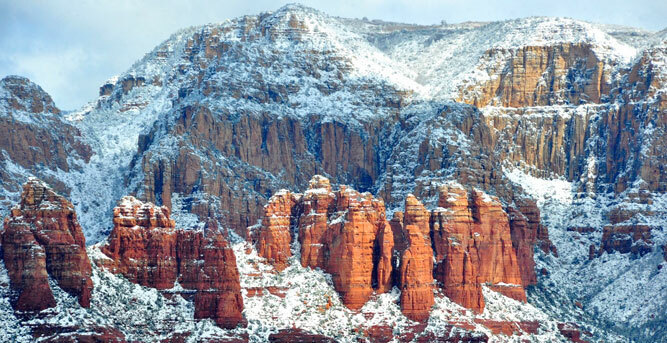 When asked about my favorite trail in the Sedona Red Rocks…Cathedral Rock Trail is certainly in the top three. This trail is a short hike with every element that makes a trail a great hike. Elevation, difficulty, adventure and views dominate this great hike. Rise up and into the saddle of Cathedral and take in the grand views of Courthouse, Bell Rock, The Chapel, Munds Wilderness, Rabbit Ears and Munds Wilderness. 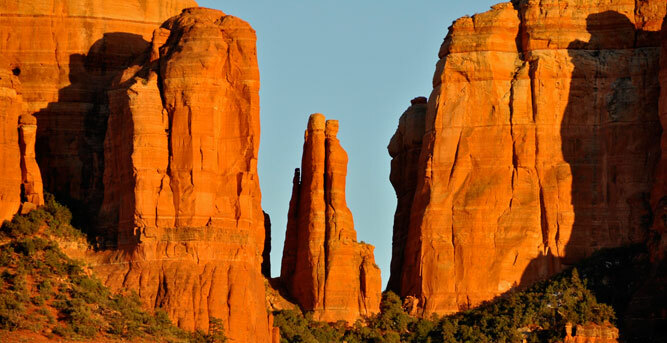 Venture out onto the Cathedral “Catwalk” and look west into the heart of the Verde Valley and Mingus Mountain. If you only have one day and you are an experienced hiker then Cathedral Rock Trail is your destination. Summary: Ready for a challenge? 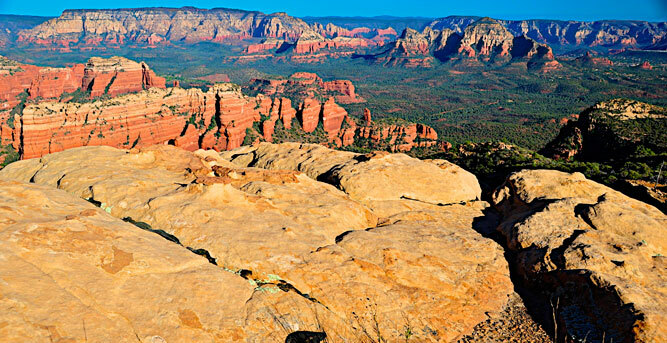 This is one of Sedona’s steep and difficult hikes. The trail is considered difficult due to its terrain, elevation and ability to navigate. Known for its difficulty, it is also known for its spectacular views that only get better the higher you ascend. 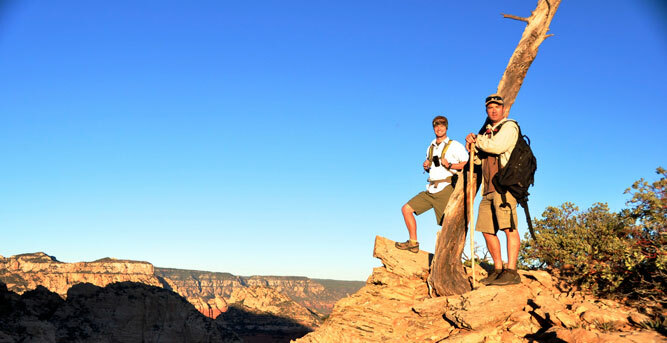 If you are up for the challenge then you will be rewarded with incredible 360°views of Sedona and San Francisco Peaks in Flagstaff. From the trailhead this hike looks deceptively easy—however, you are only seeing 1/3 of the trail. The trail is made up of a series of plateaus that take you higher and further than what meets the eye. Note: This is a difficult hike and not meant for novice hikers. Proper gear, footwear and hydration is highly recommended.